Looking in a different point of view has changed many peoples lives. Dancing, change of career, realizations, etc. Well the technology also keeps on looking in different perspective, that’s why it keeps on innovating things from time-to-time. Just like what Microsoft Office did with PowerPoint 2010. Isn’t hard to go back and forth just to view and open an application during your presentation? Before you usually view your presentation in a full screen mode and you can only view one presentation at a certain period. 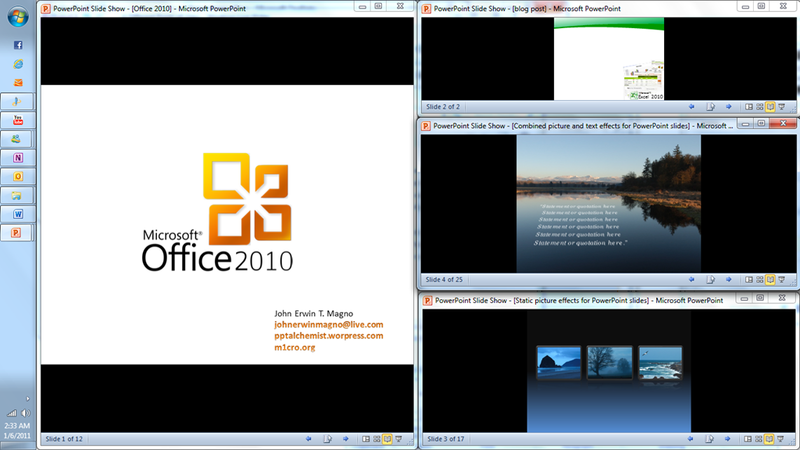 So, how about viewing multiple presentations at the same time? The good thing with this new feature is you can open multiple presentation at the same time, as well as view your presentation with your full animation effects including Transitions. 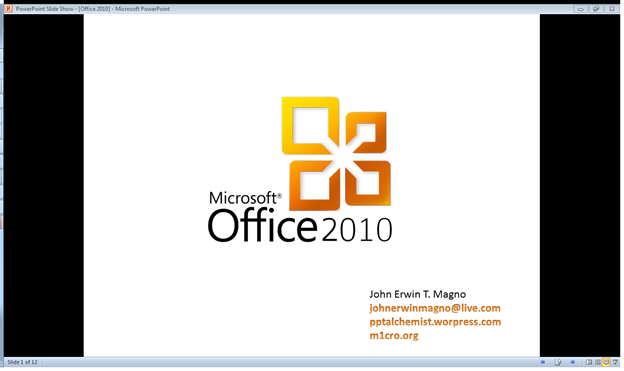 This entry was posted on Tuesday, January 11th, 2011 at 6:44 am	and posted in New Features, PowerPoint. You can follow any responses to this entry through the RSS 2.0 feed.